GuitarTownCT Concert Productions presents The Honey Dewdrops at Best Video Performance Space on Friday, Dec. 7. The show starts at 7:30 PM and advance tickets are $20 and are available at GuitarTownCT.com. 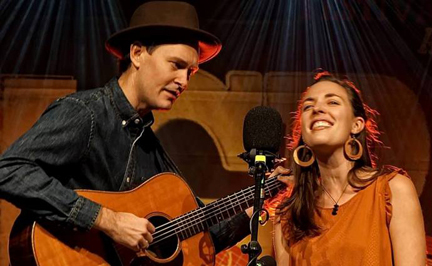 Bluegrass duo The Honey Dewdrops play Best Video Performance Space on Fri., Aug. 4, at 7:30 PM. 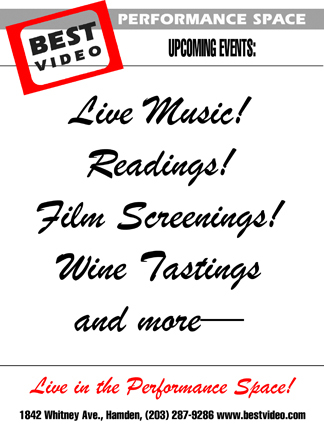 A GuitarTownCT concert, tickets are available through the GuitartTownCT Web site. Advance tickets are $20; tickets at the door are $25. 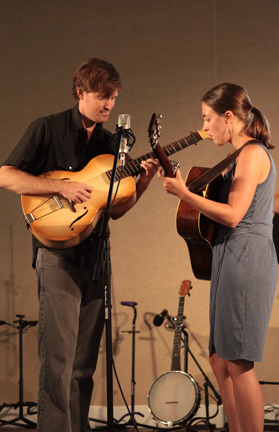 The Honey Dewdrops are a Baltimore duo that has won national acclaim. This is their fifth GuitartownCT appearance. Laura Wortman and Kagey Parrish share more than most couples. As the Honey Dewdrops, they share stages from venues to festivals across North America, stretches of rolling, infinite roadway, and a lot of songs. With tight harmonies and a musical ensemble that includes clawhammer banjo, mandolin and guitars, the effect is to leave listeners with only what matters: the heart of the song and clarity over ornamentation. After a year and a half of living on the road and 8+ years of touring under their belts, Laura and Kagey now call Baltmore home and it’s where they wrote and recorded their fourth full-length album, Tangled Country, released May 2015 on Randm Records. Acoustic Guitar Magazine describes the set of songs as “a handcrafted sound centered on swarming harmonies and acoustic guitars that churn like a paddlewheel and shimmer like heat waves on the highway.” And like their stage performance, these new songs rock and reel, and then they console you when you come back down. “Gorgeous harmonies, thrilling arrangements, and some remarkably insightful, honest writing,” said Sing Out Magazine. “Lilting banjo, gorgeous harmonies and tasteful songs exemplify this duo’s simple yet beautiful music,” said Freddy Jenkins of WNPR.